The memoirs of the Iranian Empress -- An Enduring Love -- was an immediate best-seller in Europe and has received plenty of attention in the United States. The release of this book has presented a fresh opportunity for those interested in modern Iranian history to revaluate the record of the Shah Mohammad Reza Pahlavi and the challenges he faced during his reign. While on the one hand he was pushing incessantly for the advancement of Iran, on the other hand he had to recreate his own role as a modern king of an ancient monarchy. The roots of his tragic fate are to be found in the relentless tension between these two competing exigencies. Farah Pahlavi's memoirs provide the reader with the opportunity to grasp the immensity of this challenge. In a poverty-stricken country beset by ignorance, insecurity and disease, the Shah mobilized all the resources at his disposal to address the most urgent issues of health care, education and territorial security. Ironically it was the brilliant success of his objectives that prepared the ground for his violent downfall. The unremitting speed of development led to the burgeoning of a nation located in the backward Middle East with a high standard of living and the most advanced political expectations. Although the revolution eventually fell into the hands of the most fanatical and retrograde forces in society, one cannot forget that it was initially fuelled by a desire for greater political freedom that itself was an inevitable outgrowth of the overall modernization and development programme avidly pursued by the government. Political reform that would mirror the rise in the standard of living was energetically demanded by an ambitious, restless and educated young population that had no remembrance of the rampant disease, poverty and illiteracy gripping the country just few decades previously. Farah Pahlavi grew up in a family that valued and revered education. A watchful and anxious mother vigorously monitored her progress at school. Although early on she became familiar with French language and literature, her cultural references remained Iranian. She mentions Ferdowsi, Hafez, Sa'adi and Khayyam as the staple intellectual repast of her family at the time when she was growing up. This was the case for the majority of the Iranians. Ferdowsi's Shahnameh (Book of Kings) was the favorite of the poor and the rich. Even illiterate Iranians could recite the stories of Shahnameh by heart. Empress Farah calls this book 'the incarnation of Iranian identity and pride' (ibid. p. 33). The superhuman expectations the Iranian people invested in their monarchs had its roots in that literary tradition. The patterns and paradigms available to the Shah himself also came from within that tradition. Similarly the Islamic Revolution tried to jettison many of the icons and traditions of Iranian heritage. 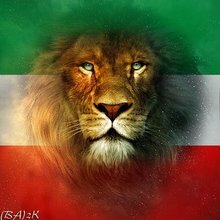 Its success was a great setback for Iranian nationalism and a tremendous gain for Arab and international extremism. Ebrahim Nabavi the prominent Iranian satirist in a recent article about Ali Shariati highlights the irreparable damage done by him and his followers to the country's hopes and aspirations. In his clear-cut style Nabavi contends that the logical corollary of all Shariati's teachings is incitement of endless violence, tyranny and terrorism. The Shah as a head of state who had sworn to preserve his country's sovereignty walked a thin line in staying within his remit as a constitutional monarch and at the same time protecting his homeland from the likes of Mr. Shariati, the Tudeh communist party and terrorist organizations such as Mojaheddin Khalgh. 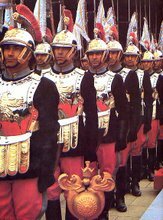 Reading Farah Pahlavi's memoirs we are reminded again of how the king 'could forgive those who had designs on his life, but not those who threatened the security and unity of the country' (p. 136). There is bitter irony in the fact that the king forgave a man called Parviz Nickhah -- the brain behind a leftist group who sent a hit man to assassinate the shah - and provided him with an important position in Iranian television, but this same person was later executed by the Islamic revolutionaries for this sin of being forgiven by the man they hated so much. As it was proven after the revolution when the Iraqis took advantage of the Iranian military weakness and internal chaos by attacking the border province of Khuzestan, the foreign military threat was not a figment of the Shah's imagination. He had learned from painful lessons of history that the weakness of the central government had always whetted the appetite of the Iranian neighbours to invade the country and take over part of its territory. In Iran, Islamic terrorism and communism or as the Shah used to call them 'the accursed alliance of the red and the black’ (ibid p. 128) have time and again done duty as the fifth column of the enemy. In 1946 the Soviets with the help of the Iranian Communist Party tried to secede Azerbaijan and break up the country. Empress Farah recounts the relief and jubilation of Iranians when the Shah was finally able to bring order to that northern province and restore the unity of the country. In 1979 however the forces of ‘black reaction’ defeated him and Arab and Islamic obscurantism swallowed up Iranian nationalism. Those critics today who, after the end of the cold war sit in their ivory towers and complacently criticize the Shah's human rights records according to the most up to date democratic standards should remember that the geopolitical landmarks of the Shah's era were Gulag prison camps in the north, and the headquarter of the Ba'ath Party in the south. Surrounded on both sides by those infernal waters, the Shah was battling against all odds to navigate his country towards modernization and progress. If the Shah's removal from power was the magic formula many people claimed it would be, today, a quarter of a century after his death, Iran should not be experiencing one of the darkest and most oppressive times in its history. What held the country back from political development in the time of the Shah was rooted in those backward forces that have gained considerable ground since the victory of 1979 revolution. Those forces raised formidable obstacles in front of the Shah's reform programme every step of the way. Some powerful segments of the Shiite clergy fought tooth and nail against the granting of voting rights to women and the agrarian reform. "When the Shah was overthrown and the Ayatollahs took over, the world heaved a sigh of satisfaction: a tyrant had fallen and a popular government was born. Very few were then aware of the awful truth, that the real reason for the uprising of the Iranian people against Mohammad Reza Pahlavi was not his megalomania and his wild spending, neither corruption, nor the crimes of the SAVAK his sinister secret police, but the agrarian reform destined to put an end to feudalism and transfer land belonging to the clergy to the mass of new landowners, as well as his efforts to westernize Iran by emancipating women and secularization of the government. It was these measures that aggravated the imams who then converted all mosques into centers of rebellion against "sacrilege" and "impiety". The Shah did not fall because of the many evils he caused his people, but for the good things he tried to do." Remembrance of the best they have been able to achieve, relying on the excellence and humanity of their culture is essential for Iranians in their effort to pull the country out of its present quagmire. An Enduring Love is a forward-looking document and a valuable lesson in generosity, forgiveness and reconciliation. It helps Iranians to recognize the true sources of their strength and opt for a future worthy of their great heritage. I picked up the telephone to talk to a friend right after a French television station aired an hour-long programme about the Shah*. I asked her how she liked the programme and she broke down crying and could not stop to say anything. Watching the programme was not easy for me either. I sat on the edge of the sofa glued to the television swallowing my tears and watching a chronological account of the beginning and end of a man who was the king of my country for thirty-eight years. Why me, my friend and many other Iranians feel so passionately about the Shah? We were not part of his so-called inner circle to be missing the royal glamour we were once surrounded with. Speaking for myself, I do not give two hoots for royal glamour or any other forms thereof. Neither are we pining for the cushy jobs, we had while the Shah was in power and mourning our deprivation of those positions now that he has gone. I and many of my peers were high school students when the Shah left the country and were not yet of an age for employment. Our parents also had to work hard to make ends meet. No, the affection we have for the Shah has nothing to do with material considerations. It has everything to do with the love we have for our homeland. The Shah was not a president, a mere ruler or head of state. He was a living manifestation of the continuity of our civilization. And what is that supposed to mean you might say? And you will be right in your skepticism. One hears a great deal of cant rattled off about our "ancient Iranian civilization" stretching from Greece and Egypt across Central Asia to India and so forth. This kind of talk is only tiresome claptrap. A great deal of it is highfaluting self-aggrandizement of people who hide behind the laurels of their forefathers. It can be meaningful only if the present achievements succeed in making a logical connection to the traditions and cultural heritage of the past. And a glance at the current state of affairs in our country obviously shows that this connection is non-existent. Ergo our cheque from the bank of ancient glories would bounce miserably. So what after all do I mean when I say that the Shah was the manifestation of the continuity of our civilization? I mean he was the living representation and the custodian of an identity that was balanced on the three pillars of religious faith, national heritage and political tradition. He was the personification and upholder of that trinity that provided Iranians with their unique sense of selfhood setting them apart from other cultures and civilizations. The Shah was absolutely right when in a 1979 discussion with Sir David Frost, in answer to the celebrated interviewer's question about what in his opinion was the common bond uniting the Iranian people, he answered 'The crown, the king'. For the past quarter of a century deprived of its Shah, that keystone of its national trinity, Iran has been writhing in the throes of degeneration and backwardness. It has by no means lived up to its creative potential and true national aspirations. A look at the low morale of the dispirited Iranians living in their homeland or abroad shows the extent of this decay. The ever climbing rate of suicide, drug addiction, prostitution and family violence demonstrates how the moral foundation of our country has been disturbed and its central assumptions been thrown out of whack. If watching old movies of the Shah makes Iranians break down in tears, it is because of a huge emptiness in their national soul that yearns for fulfillment and repair. For the same reason Reza Pahlavi's website is visited by thousands of Iranians everyday and Shahbanou is greeted by throngs of her compatriots wherever she goes. The people of a nation can go from day to day, double and triple the size of their population, even materially prosper and nevertheless remain dispossessed of something essential in their collective soul. To continue as a living civilization however requires something quite different. The Shah was a symbol and a proof of that stubborn Iranian spirit that had stood up to all foreign invasions and resisted all the trespass to its cultural integrity. It had survived the Greeks, Mongols, Arabs, Turks and the Communists because it held on to a spiritual core of national values which was more powerful than any of those formidable foes. What the mullahs represented was also an important part of this core. Shia Islam at its best like its Zoroastrian predecessor was a strong pillar that held up our national identity and provided us with a unique set of spiritual, moral and mythological values. These values like the monarchy itself are not measurable in utilitarian terms or by mathematical charts. Nevertheless their worth to the well-being of our culture has been inestimable. Anyone who denies this is either intellectually or emotionally out of tune with the Iranian situation. The Shah himself was aware of that delicate structure that rested on religious faith, national heritage and a political tradition. Although he was following a secular programme for modernization and development of the country, not only had he nothing against the thoughtful branch of the Shia Islam, he did his best to support and promote it. Thanks to the Shah's special attention the city of Mashhad, the burial site of the 9th century Shia saint Imam Reza gained high prominence as a magnificent pilgrim city and a reputable center of religious learning. The peaceful spiritual leaders in Qom were far freer in the time of the Shah than during the dictatorship of Ruhollah Khomeini who started the repressive custom of keeping his fellow ayatollahs under house arrest. Even Khomeini himself as the leading exponent of the most backward fanatical branch of violent shiaism had nothing worse to fear from the Shah than an exile into a holy city in the country's neighborhood. One should never make the mistake of thinking that the eventual downfall of the Shah proves that he was wrong in allowing so much power and resources to the country's major religious faith. Apart from being a sincere believer himself, his astute mind provided him with a long- term vision and a far reaching insight into the delicately forged balance that kept the country together, territorially, emotionally and spiritually. Contrastingly, the mullahs who opposed him could not see further than the tip of their noses. They could only think of short term gain, seizing the reigns of power and holding on to it as long as they could manage it. They failed to see, or could not care less about the long term interests of the religious faith they claimed they were trying to safeguard. They could not see that the heartlessness and emotional sterilization they were instigating against the Shah could eventually pave the way for their own departure. If a nation with 2,500 years of monarchy could bring itself to get rid of such a highly significant national symbol as the Shah, it could also manage to jettison a foreign religion with much less seniority. A parent who mistreats his spouse in front of the children could not expect to gain their love but should understand that he is eroding the sense of respect, family honor and fidelity that will one day come to haunt him. As the saying goes 'what goes around comes around'. And the time for the end of Islamic faith at least in its present form has come around in Iran for quite some time. It is not a secret to anyone that the mullahs are derided and despised by the majority of Iranians. They hold political power by intimidation and repression and not because they are entrusted to do so by the free will of the population. What kind of Shia Islam can be expected to emerge after the dust of the present dictatorship has settled in Iran is not an easy question to answer. Whether the religion of the majority of Iranians will be able to recreate itself and be born anew sometime in the future depends on many different factors. In its intelligent progressive form it will have a better chance of survival through the restoration of that political system which itself draws its strength from traditional values i.e. the constitutional monarchy. What is certain is that after their inevitable liberation from the present dictatorship, Iranians will never accept to give religion the overwhelming sway it once exercised in their political life. The concept of Shia Islam as the official religion of the country is finished. For that matter, the Iranian monarchy also in its old overarching form has for ever come to an end. Today we Iranians are sitting amongst the ruins of twenty-five years of national turmoil. To prevail as a civilization we have to pick up the pieces and recreate our national trinity of God, the Shah and country for the democratic age of the twenty-first century. To think however that we can dissolve this trinity, reduce its number or concoct something else altogether instead is to repeat the folly of the Islamic revolutionaries. A secular republic with no imaginative roots in our national consciousness for Iranians will be like a loveless marital contract full of clauses and sub-clauses but ultimately bereft of any binding emotional attachment or heartfelt yearning. We cannot build the future of our nation in a spiritual vacuum, forgoing its true sources of cultural inspiration and vitality. What is certain is that multi billion dollar investments are not the only thing we require for rebuilding our country. We need to make an attempt to identify and heal our festering emotional wounds. We need to scrutinize the truth beyond the clouds of falsehood propagated in the past twenty-five years by political opportunists and religious terrorists. A good place to start is to consider clearly and free of fanaticism the place of the Shah Mohammad Reza Pahlavi in the history of our modern civilization. Such an understanding is essential for our moral recovery. It will enable us to come to terms with our past and proceed in the direction of creating a just, fair and humane society. The Shah stood at the political helm of our country for nearly four decades, giving us his youth and old age. He bestowed on us all the intellectual and emotional energy his life could muster. The least we can do for him is to give him the recognition he deserves. * Le Shah d'Iran: un homme à abattre, by Reynold Ismar, broadcast on France 5 on 05.12.2004.